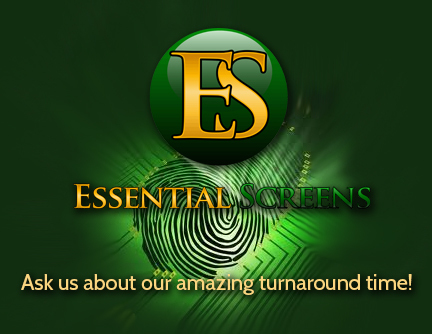 Essential Screens has an industry-leading turnaround time. However, depending on the nature and scope of the requested background check, that time could take longer for a variety of reasons. For example, if there is a holiday, if the courts are backlogged, if the information has not been completed in full, if additional information has been requested and so on, all of these affect the time it takes to run a thorough background check. Below are some tips to help you receive the best results in the shortest amount of time. Before running background checks on a job applicant(s), companies should create a comprehensive written screening policy. Businesses that follow a documented background check policy are mitigating legal risks. Local laws do vary by jurisdiction and it is suggested to check for ban-the-box, credit report and social media regulations in your area.Once a policy has been written, it is important to review, update and revise it on an annual, bi-annual or quarterly basis. Prior to ordering a background check on an applicant or employee, verify that you have a signed consent form. You can upload this authorization directly into Essential Screens system. Ensure all aliases (other names by which your applicant may have been previously known (maiden, formerly married names, etc.)) have been appropriately added. Background checks are only as reliable as the information inputted. Include all locations where the applicant lived, worked or went to school. If you know of a conviction in another state or county, order that specific area or make a comment in the comment section. It is possible that there is a conviction in a state/city/town where they were visiting that will not show up on a search if it is not ordered. If you have questions on how to set up a company policy, upload your authentication form or anything regarding the processes and services of Essential Screens, please contact one of our consultants. Our goal is to get you the best information in a timely manner to reduce your risk!